In Zandvoort there are many opportunities to take part in sports activities of various kinds either energetic or relaxing. For one thing, having access to 15 km of wide sandy beach means that there will always be the possibility for practising the kind of sports for which you need a lot of space. Team games such as beach volleyball can easily be accommodated on Zandvoort beach and even kite flying for more serious enthusiasts who need to be well away from crowded places may be practised on the beach out of the main holiday season. 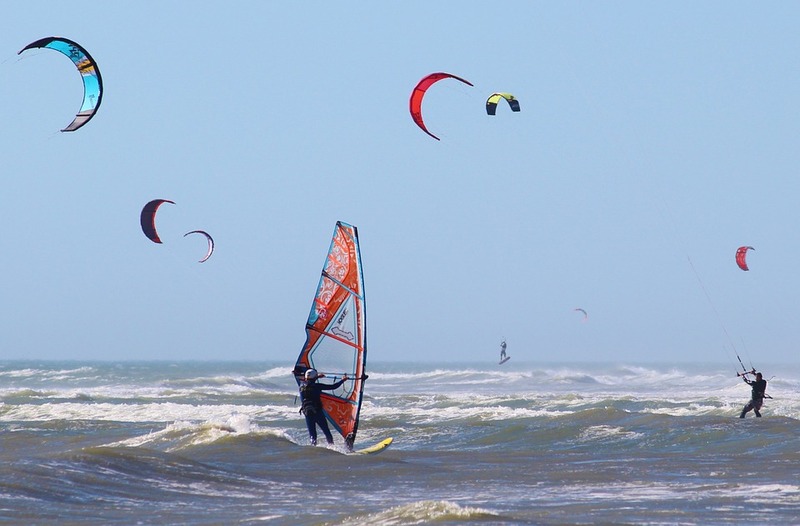 With easy access to the North Sea, watersports are enormously popular and surfing, kitesurfing, windsurfing and sailing are widely practised on the coast here in Zandvoort. There are several clubs where people of like mind can get together with others either to partake of their particular sport or indeed just to have a drink or meal together at one of the many beach cafes or pavilions to exchange stories. It may be stating the obvious but swimming in the sea is great exercise as well as fun but be sure to check the conditions are favourable before doing this. If it’s not the right kind of weather, there is a subtropical swimming paradise centre in town that you could visit. The skies over the coast also provide exciting possibilities for sports activities and if you spend any time on the beach in the summer you will usually be treated to the sight of individuals paragliding or hang gliding above the sands. It’s widely known that the Dutch people love cycling and it is possible to take a cycling tour through the dunes and local conservation areas. Otherwise you could use cycle around the town and local area although I wouldn’t advise this in the busy times of the year. If you fancy learning to play golf, there is actually a golf course in the dunes where you can take a course to learn the basic principles. Other possibilities include horse riding, bowling and of course just going for good walk on Zandvoort beach!